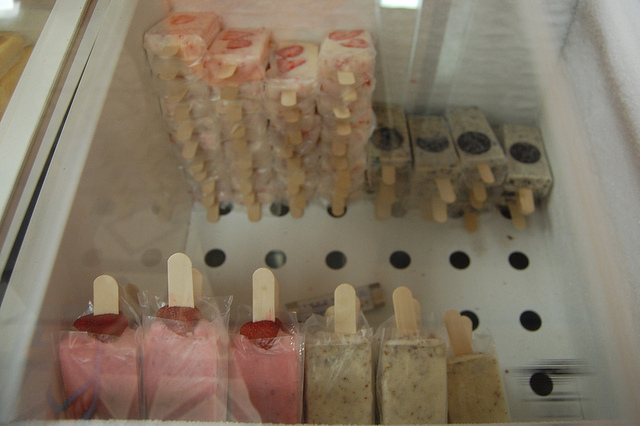 I scream, you scream, we all scream for paletas in Chicago, right? Come to think of it, they just might be the next hot dessert trend, with the rise of Latin American flavors across this country. But what about mangonadas? 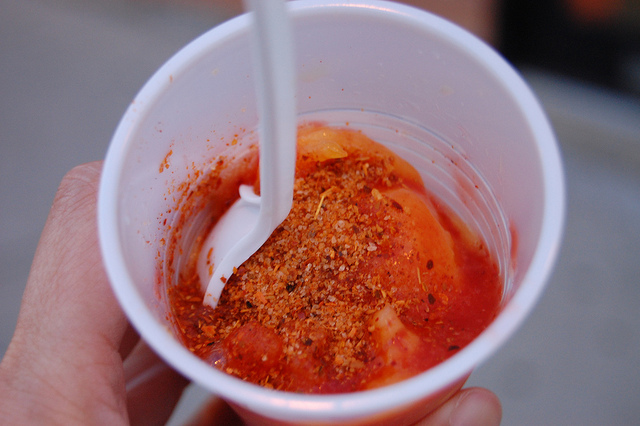 It&apos;s soft mango ice, the texture of Mario&apos;s, but swirled with the mouth-puckering Mexican condiment chamoy and finished with a hearty shake of the spicy fruit seasoning Tajín. 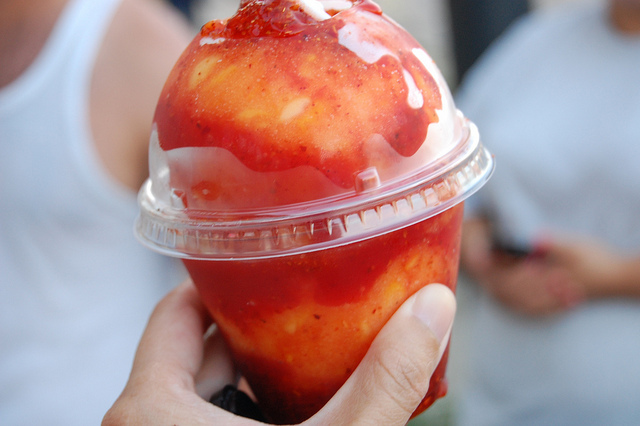 At Paleteria La Plaza on the Northwest Side, they claim to make "las mejores mangonadas de Chicago." I don&apos;t know if it&apos;s the city&apos;s best, but last night it was perfect. 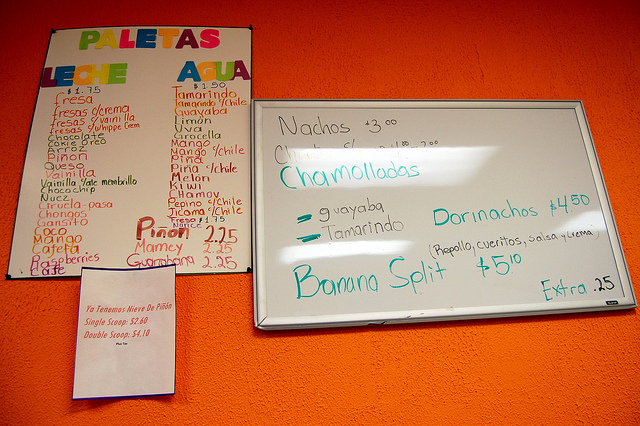 Owner Tomas Lopez opened the shop with his family a year ago this week, making paletas seven days a week with his brother Jose and Jose&apos;s mother-in-law Ana. This summer, it seems they&apos;ve had a line filled with families nearly out the door on to Cicero every night. 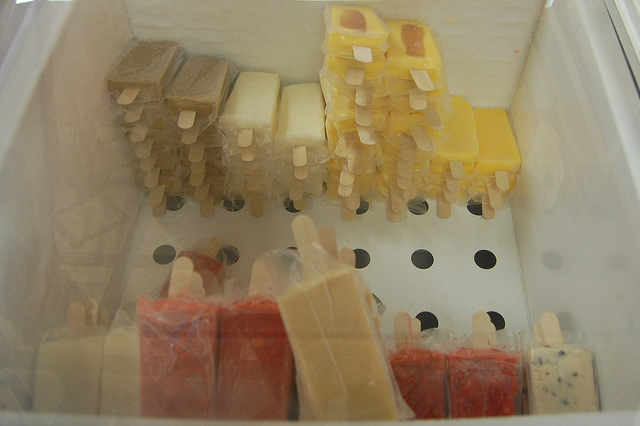 The brothers first learned how to make paletas as boys in their hometown of León, in the Mexican state of Guanajuato, working for someone else. Thirty years later, they revived those childhood recipes and constantly test new ones. But they still keep their day jobs, or rather night jobs. It turns out that Tomas is the valet manager at Navy Pier, working the door gate next to WBEZ; brother Jose is the valet manager at Maggiano&apos;s at Clark and Grand. While the jewel-like paletas shimmer nearly irresistably, the mangonadas sing a siren song of fire and ice.